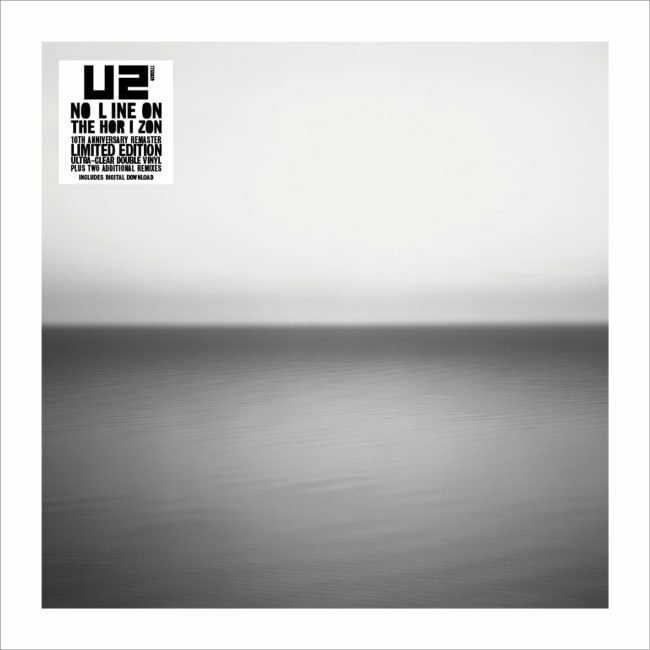 U2’s release of its 12th album “No Line on the Horizon” in 2009 ended a long five year wait for U2 fans hungry for another helping of U2 goodness. At the time it was the longest interval between albums for the band since their inception. In hindsight, some critics view the album as the end of a successfully fertile creative period that spanned over two decades. “No Line on the Horizon” would mark the end of a number of stalwart working relationships; it was the end of the highly successful collaboration between the band and producers Brian Eno and Daniel Lanois. In addition, it would be the last release with their longtime manager Paul McGuinness at the helm. The “No Line on the Horizon” tour would see the band once again dominate the concert business with their 360 tour which would be an astronomical financial success. The music business was changing by the moment and in many ways, this 12th U2 release seemed to be caught between the alluring past and the unsteady future. As with their 2004 album “How to Dismantle an Atomic Bomb” the band was reaching back to prior incarnations for the inspirational base of the album. They would harken to “The Unforgettable Fire” era with its oft time’s experimental feeling but also attempt to infuse the album with new inspirations and timely commentary on current events. One guiding principle for the recording was an attempt at a loose concept album. This idea would unite “future hymns” with Bono’s different characters studies which utilized lyrics that would channel the band’s outlook. Bono had garnered success in the past with this approach most obviously on “Rattle and Hum” and “Zooropa” but “No Line on the Horizon” looked to accomplish this on a wider scope. Initially, In 2006 the band elected to begin work on the new album with producer Rick Rubin; but the exercise was shelved as was the majority of the material from that endeavour. A bit battered after that flame out, the band would find their initial spark by drawing on their experiences at the World Sacred Music Festival in Fez, Morocco. 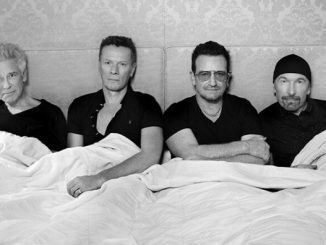 U2 would once more return to their longtime collaborators and producers Brian Eno, Daniel Lanois along with early band producer Steve Lillywhite. The album would be recorded between May 2007 and December of 2008 at a variety of studios and locations which included; Fez, Morocco, Dublin, Ireland, NY, and London, England. What would result was a more experimental recording when compared to their last two outings. In many ways, the album would be reminiscent of albums like The Unforgettable Fire, POP and Zooropa as the band attempting to open a new musical chapter for their next decade. “No Line on the Horizon” would be informed by the world’s response to the Aid’s epidemic in Africa, the second Iraq War and the growing malaise that seemed to inhabit the soul of current society. The album would debut at number one in thirty countries but would not sell as well as anticipated, with 5 million in initial sales. That number was well below the performance of their recent prior releases. In just five years the music delivery world had changed dramatically as streaming and online services were beginning to make their mark on album sales numbers. 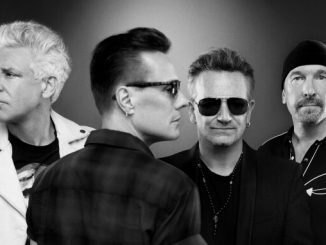 U2 management credited that reality for the less than expected sales result. Additionally, some critics and fans have suggested that the selection of the first single “Get On Your Boots” did the band no favours. “Get on Your Boots” would turn out to be a bit of a dud in garnering excitement for a band returning after a long five-year break. Many fans believed that the song “Magnificent”, their second single release, would have been a better choice. Wherever you fall on that argument the band once again seemed to have to prove they were worthy of their title as the heavyweight Rock champions of the world. A vindication of sorts for U2 would come with The 360 tour which would be a tremendous success becoming the highest grossing concert tour in history at over $736 million and running from 2009 to 2011. Even that outcome was uncertain as the tour would run into a major snag when Bono severely injured his back. A number of concert dates were first postponed and then reschedule for over a year later. The band would again overcome significant adversity and the eventual success of the tour would mitigate some of the always existing criticism the band encountered. “No Line on the Horizon” would be inhabited with characters: French traffic cops, heroin junkies, soldiers in Afghanistan and a journalist in Lebanon. The perspective was one of peripheral vision defining an age. The album seems to break down into three sections: a self-contained world turned inward, the singles and the deep unusual tracks. It was a record that attempted to catch the uncertainty of the era and in parts was loaded with mischief, sunshine, hedonism, love, sadness, lust and vulnerability. Judged in retrospect, the album could possibly be the last time U2 successfully balanced relevance with a timelessness that has been existent in their prior releases making them the legendary. The listener enters the album with the title track “No Line on the Horizon” and is introduced to a French traffic cop who is at the end of his rope completely disillusions by his experiences. The track is dramatic cinematography captured in a song. The beginning onslaught of percussion and ambient verve is breathtaking. An inspired opener that in my humble opinion would have been a great first single, it simply sounds phenomenal on a stereo unit with its slinky sinuous undertones fed by Islamic beats. “Magnificent” does not let up on the build from “No Line” as this exuberant song channels the ancient Psalm writer and is filled with elements of Christian symbolism and Christ’s teachings. It reflects every effort the band has made to blend their religious beliefs with Rock music and come out a winner. The heavy bass and thumping drums burst forth in joy as The Edge delivers an inspired guitar riff of shimmering beauty and that sly disco vibe pinched off of “POP” is maddening. “Magnificent” was everything a long time U2 fan needed to hear to keep the faith. “Moment of Surrender” calms things down a degree or two as we enter the world of a heroin addict captured in the haze of his fix looking for redemption and deliverance. In this stream of consciousness narrative, the world walks by having written off the junkie and he finds only God can save him. Captured is the moment when the narrator hits rock bottom and sadly as the song reveals he has brought his lover down too. The song dares to flip over rocks and look at the ugliness that is revealed, making for an unsettling feeling but carries immeasurable impact. The sonics provide a moody miasmic accompaniment fully displaying the muffled confusing world of the addict. “Unknown Caller” begins a section of the album that contains worthy efforts that don’t quite jell. The song is reminiscent of prior better offerings such as, ”Acrobat, One Step Closer and Original of the Species” but is missing something. It could be the abrupt cut off feeling of the lyrical phrasing used by Bono. This phrasing looked to utilize computer terms such as force quit, move to trash and reboot among many to structure to the song. The track starts promisingly with the sunlit dreamlike intro and Edge’s guitar work which as ever is goosebump worthy but something just doesn’t click. This happens again on “I’ll Go Crazy if I Don’t Go Crazy Tonight” which is endearing in how it explains Bono’s hyperactive nature. Additionally, it acts as a tribute to his family for enduring his somewhat maddening behaviour. The problem is the accompaniment is something U2 could generate in their sleep and is a bit boring. The nostalgic self-aware confessions of Bono save the song from collapse but it is a near thing. This song was transformed in concert and became a highlight, but on the album, it kind of just sits there, and unfortunately, in the following albums there is more of this kind of song rather than less. I am going to confess right here I have never really taken to “Get on Your Boots” the first single off the release and not their best decision. Bono attempted to display the irony of a family vacation filled with love and fun by contrasting that with the Iraq war and warplanes flying overhead. The odd structure and retro 60’s vibe in the accompaniment proved to not be the band’s best stance. The pulled around fuzzy bass was a blatant attempt to echo the radio fare of the time. This song was again a foreshadowing of what was to follow on the next albums. “Get on Your Boots” divided fans as it was certainly different but not a sonic that the best choice for the band going forward. “Boots and Go Crazy” are the weakest points of the album that thankfully returns to standard with “Stand Up Comedy”. This song about faith with its funkadelic sonic displays the contrast between a song that works and one that doesn’t. The song winningly encapsulates the heaviness of Led Zep with the neo-pop psychedelics of Sly and the Family Stone. It is a call to arms, to be fearless and unafraid and I have always been enamoured with the lyric”… stop helping God across the road like a little old lady”. “Stand Up Comedy” feels like a follow up to the topics ruminated upon on the “All You Can’t Leave Behind” tracks “Peace on Earth” and “When I Look at the World”. Full disclosure I have listened to “Fez” about a thousand times, I love this track. It begins with the found sounds of Fez, Morocco and becomes utterly breathtaking with mind-blowing drums, gritty guitar and crystalline piano effect producing yet another goosebump moment. If the band was looking for an opening into a more experimental approach they should have used this as the launching pad. It is a mesmerizing, dramatic and urgent song with the glorious last refrain being an inspired description of birth from the baby’s point of view. 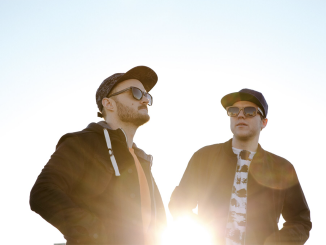 This brilliant track is followed by the best selection on the release, “White as Snow”. It is a song that can reduce me to tears with its evocative poignancy. The topic is the last moments of a soldier dying in Afghanistan as it echoes the great Johnny Cash’s narrative song abilities. The strings and heartbeat tempo support this grandiloquent track which leaves the listener pondering the question of the last lyric. Never doubt that Bono can write an unforgettable song and this is proof. It is Bono at his most operatic and thought-provoking, think “Miss Sarajevo”, and is heartbreaking. “White as Snow” is by far the best moment of the album. After that sombre track “Breathe” lightens the mood as Bono channel’s James Joyce, the track aptly celebrates June 16th as a reference to Joyce’s Ulysses. The theme of the song proclaims that you need to stand your ground no matter the resistance. This bravery allows the freedom to breathe. Captured again on this winning track is the exuberance of “Magnificent”. The drum intro is filled with verve and moxie that goes on to inform the entire song as Bono sells his own brand of encouragement and belief. The brilliance of his phrasing drives the power of the lyrics. This is U2 doing what they do the best firing on all cylinders and it just sounds amazing. It is no wonder that the 360 tour opened with this song as Larry Mullen’s explosive percussive goodness sparked off the shows. “No Line on the Horizon” is by any measure not a safe release from a well established and beloved band. It challenged the listener with its portrayals of everyday individuals and took many unexpected musical paths. The album has moments of extraordinary insight and musical bravery however there are a few songs that just don’t reach U2’s own self-designated level of quality. This leaves a feeling of unevenness that keeps it from reaching the heights of an “Achtung Baby, War or the Joshua Tree”. “No Line on the Horizon” was still head and shoulders above many of the releases of the era in which it was created and should garner more praise than it has over the last 10 years. As it stands currently “No Line on the Horizon” looks to be U2’s last great album as it closes out an amazing run that started with “War”. To me, the recording has become like “POP” in that it may not have been as successful as the band wished when it was first released but resonates and delivers greater impact as the year’s pass. You have no idea how I hope that is not true being a 30+ year fan of this legendary band. Hope springs eternal they will return to form on future releases, and be unafraid to go as experimental as they were on “No Line on the Horizon”. I find I am willing to indulge songs like “Unknown Caller and Get on Your Boots” if I can get another dose of “Fez” and “White as Snow” both songs that display the brilliance these four lads from Dublin can create. After ten years “No Line On The Horizon” when appraised is all too often an overlooked offering of potent emotional and musical content that deserves another listen.